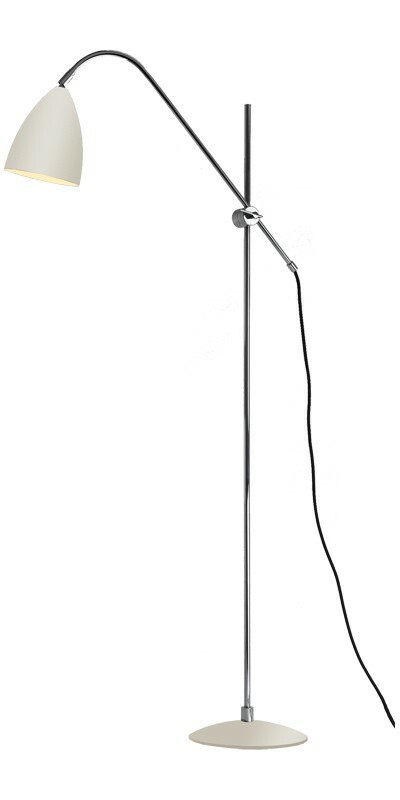 No matter what room you place this floorlamp in; it will immediately make a powerful impact. The frame is constructed of polished chrome that not only adds to the beauty of this piece, but provides excellent stability and sturdiness. The base and the shade have a cream painted finish that provides the perfect contrast with the chrome frame. This lamp is the epitome of contemporary style; featuring two separate chrome frame pieces and an integral switch. The lamp uses a 60W E27 Bulb, which provides the perfect amount of light, without using an exorbitant amount of energy.